KCAPTCHA is an alternative to the popular Google plugin but instead of having to go through a sign up process and copy API keys, you get this plugin integrated in your Subrion installation ready to be used and enabled by default. If for some reason you have this plugin removed and want to get it back, you can check how to do so in our Subrion Plugin tutorial. 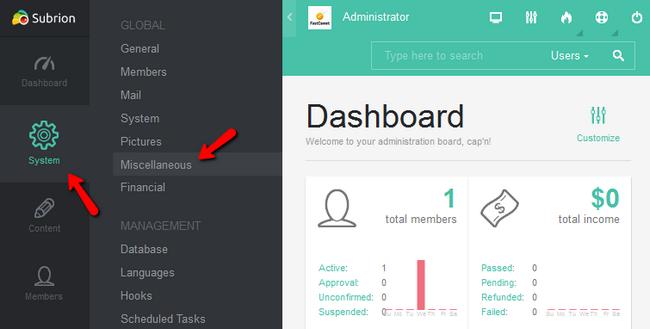 To change your preferences for KCAPTCHA you will have to first access your admin area and then navigate to System>Miscellaneous section. 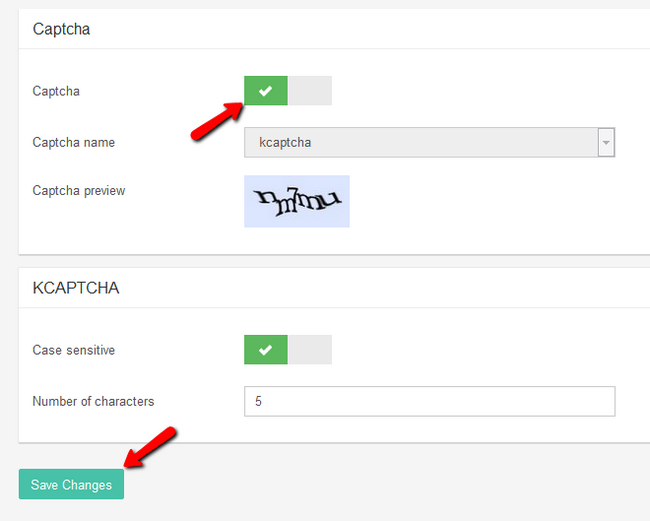 Now scroll down a bit till you get to the KCAPTCHA settings and edit as you desire. When you are done, don’t forget to hit the Save Changes button. Alternatively, you can access these settings by going in Extensions>Plugin and clicking on the cogwheel icon for this particular plugin. Congratulations, you now know how to protect your website against bots and spam scripts.